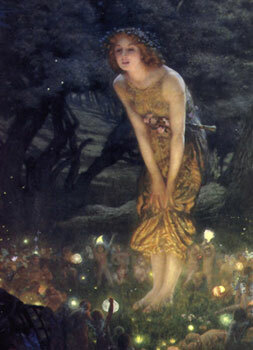 The fairies are exquisite dancers, and that is why one of the first things the baby does is to sign to you to dance to him and then to cry when you do it. They hold their great balls in the open air, in what is called a fairy-ring. J.M. Barrie, Peter Pan in Kensington Gardens. Not up and running yet, sorry!